Must have a Master.s Degree or its equivalent (Bachelor.s Degree plus 5 years progressive experience after college) in Computer Science, Computer Engineering, or Electrical Engineering plus skills in Java 6, J2EE, Oracle 9i/10g, UDB-DB2, Hibernate, Struts, Spring. Will involve 80% travel to unanticipated client locations throughout the US. Job location: Brooklyn, NY. Submit réméeferencing job code SAK006 to HR, Pencom Systems Inc., 152 Remsen Street, Brooklyn, NY 11201. Sr. Programmer Analyst (VIC002) Analyze, design, and develop software for content acquisition, analysis, processing, and normalization of legal data, using C++ services on Internet Communication Engine (ICE) framework, Pro *C, PL/SQL, XML/XHTML, XSL; Analyze and develop Bloomberg LAW (BLAW) terminal interface using Perl, MQ Series, Oracle 10g; Analyze and maintain proprietary Bloomberg terminal functions such as BBLS, MSG, and CITA using C++, Pro *C, Oracle 10g, and SQL Developer. Must have a Master.s Degree in Computer Engineering, Electronics Engineering, Mechanical Engineering, or Information Systems plus skills in Pro *C, XML/XHTML, XSL, Perl, MQ Series, Oracle 10g. Location: Brooklyn, NY. 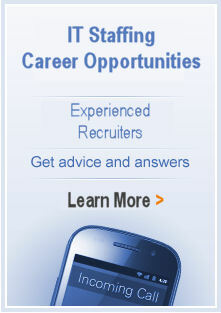 Submit resume referencing job code VIC002 to HR, Pencom Systems, Inc., 152 Remsen Street, Brooklyn, NY 11201. Make a move that could be the best career decision of your life! If you are a motivated, hard-working and experienced Recruiter, Pencom Systems Incorporated is looking for you! New York's leading professional, executive and technical search organization, Pencom Systems helps clients attract and hire top professionals in specialized fields throughout the tri-state area. The Recruiter we seek will be assertive, high-energy individuals who will build their own business while contributing in a team environment. You will be responsible for developing a client and candidate base, identifying the best clients and candidates, and working with them through the entire placement process. The ideal candidate will have demonstrated success in technical search consulting (at least two years recruiting experience), a college degree and sound knowledge of the financial services industry. Personal and professional integrity, solid computer skills and a goal-oriented, take-charge attitude are a must. Enthusiasm, energy and a personal drive to succeed are absolutely necessary. Assess skills of expeirenced hire candidates utilizing a variety of qualification methodologies including in-depth behavorial, technical and business knowledge interviews and a variety of client specific testing tools. Maintain a sound understanding of Fixed Income and Equity capital markets and Investment Banking specifically, Cash Equities, Treasuries, Corporates, Mortgage-Backed Securities, Asset-Backed Securities, Equity Derivatives, Interest Rate and Credit Derivatives, Risk Management, and Emerging Markets. Enforce the policies, procedures and standards of excellence of Pencom Systems Incorporated.